The Government of Botswana is making substantial progress in improving the efficiency of its national health programs, and in particular, protecting and sustaining gains made in HIV care and treatment. Botswana is one of a few countries to achieve the “tipping point,” where the number of people on antiretroviral therapy (ART) treatment exceeds the number of new HIV infections, currently an estimated 69 percent coverage of ART for all people living with HIV (PLHIV)—the highest in Africa, Asia, and Latin America. The government is committed to take on a higher share of the funding for HIV/AIDS activities, and HFG is providing technical assistance to support the development of policies to achieve this goal. Specifically, HFG is supporting the government to develop a comprehensive health financing strategy; to implement and institutionalize a health accounts exercise; and conduct an actuarial analysis to effectively finance a sustainable universal health services package. The work from these activities will inform the development of a national health insurance blueprint. Further it provides policy direction for the Government of Botswana on revenue generation, resource mobilization, risk pooling and strategic purchasing that is appropriate to the country context. HFG provided technical assistance to analyze and develop plausible scenarios and the most equitable, affordable and sustainable mechanisms to finance health insurance based on an efficient public-private mix of financing, management, and provision of health services. Botswana recently completed the third round of Health Accounts for FY2013/2014. Two earlier Health Accounts helped the country to understand major health spending flows and magnitude of funds across different actors in the health care system. They also highlighted trends in the share of contribution by each actor in the health care system, such as the government, donors, nonprofit institutions, and employers. Multiple years of Health Accounts data have enabled Botswana to visualize changes in key trends such as per capita spending, health spending as a percentage of GDP, and resource allocation across major health programs. The availability of such information supports the Government of Botswana’s ambitions to constantly improve health systems’ performance, allocate resources to key health programs and to progress towards providing universal health coverage to its entire population. To revisit Botswana’s Essential Package of Health Services (EPHS), HFG provided technical assistance to the Ministry of Health and Wellness (MoHW) to facilitate the development of a framework for selecting a narrower set of cost-effective interventions, including HIV services. HFG will support the MoHW to link this Universal Health Services Package (UHSP) to a per capita premium and to the level of government subsidies needed to provide these services using an actuarial analysis exercise. The objective of the actuarial analysis is to document the correct balance between revenue collection from different sources (taxes, salary contribution, subsidies, etc.) and expected expenditures from services demanded by enrolled beneficiaries in insurance plans. The results of the actuarial analysis will allow for the effective financing of a package of health benefits for the people of Botswana and ensure that it is affordable as well as sustainable. To support development of Botswana’s National Health Insurance, HFG is providing technical assistance to the MoHW to develop a blueprint for a health insurance financial platform including insured HIV services. The blueprint will explore several topics. It will describe the key operational processes necessary to implement a successful health insurance system. The blueprint describes governance and accountability systems and outlines a proposed institutional architecture required to govern the health insurance system in Botswana. Finally, the blueprint will present a framework for health insurance financing, including potential sources of revenue, subsidization of premiums, how insurance pools are organized, and strategic purchasing. 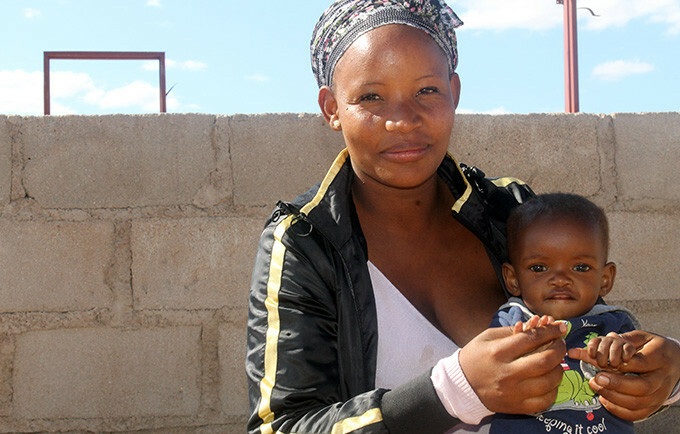 Improving the quality and sustainability of primary health care facilities is an important component of Botswana’s broader health system goals. HFG assisted the MOHW in planning to achieve these goals through the development of strategies for strategic purchasing reforms for primary health care. Using data collected from the MOHW, health facilities, and consultation with the Health Financing Technical Working Group, HFG developed and refined proposed steps to enact a goal-oriented purchaser-provider split, make district-level budget allocations more rational and transparent, and increase the autonomy of providers to manage local considerations. Botswana’s path to fully implementing the recommended strategic purchasing reforms for primary care will be a multi-step process, interlinked with other health financing reform activities and including many opportunities to apply the principles of strategic purchasing to achieve other health system priorities. 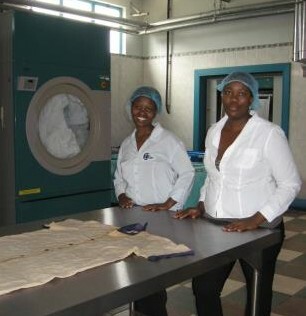 Laundry is one of the non-clinical services outsourced to local contractors at S’brana Psychiatric Hospital. As part of a larger set of reforms designed to increase efficiency within the public health system, the Government of Botswana (GoB) began outsourcing non-clinical services at seven district and regional hospitals throughout the country. Through the HFG project, USAID is supporting the MOH as it addresses the challenges presented by outsourcing to private suppliers. Contract Management: HFG strengthened hospitals’ capacity to manage outsourcing contracts and monitor the performance and quality of the contract deliverables through two workshops for 40 senior hospital staff and Ministry of Health officials around proper contracting and development of service level agreements with key performance indicators. Capacity-Building: Through two workshops on conflict resolution and negotiation skills for hospital administrators and staff, HFG built the capacity of hospital administrators to manage outsourced service contracts, improve public-private partnerships, and train hospital managers in preventing and managing conflict resolution. Cost-Benefit Analysis: To strengthen the MOH’s bargaining position with providers and allow it to advocate for continued outsourcing of services, HFG conducted a cost benchmarking study and a cost-benefit analysis of outsourcing as compared to “business as usual”; the results showed that outsourcing was more expensive than insourcing, however, outsourcing proved to be cost-beneficial after considering reported quality improvements. Reporting: HFG documented the experience of past and current outsourcing efforts to aid future contracting efforts and ensure sustainability of the outsourcing program in Botswana. As a result of HFG’s work, the seven participating hospitals have implemented regular performance monitoring of vendors—leading to increased transparency and communication of expectations between hospitals and vendors, and spurring improvements in vendor service quality.